It wasn't more than about 1 minute into my decision to post about Avicii that I realized I might be in over my head. Well, at least headed for "another chance to learn more than I knew yesterday". His news-worthy demise back in April caught international media's attention: our somewhat morbid focus on famous deaths? Rolling Stone mag's obit headlines noted "Tim Bergling shaped EDM ..."
And I went: Oh no, what's EDM? Maybe you know the acronym EDM. I did not. It's Electronic Dance Music. Ummm... a lot is EDM, these days, isn't it? Much of what we listen to is electronically adjusted: electronic adjustments such as Auto Sense. And way back in my Amiga 500 days, I used a piece of software called ProTracker to paste together bits of electronic music (mod files back then) to create music that included copied clips/extracts of other people's music. So .. we've got the roots of today's Electronic Music going on back in the 80s. But what's the addition of the D? that makes it so so different? How - in 25 years years, could I fall so far behind trends? And what is it about Avicii that sets him apart? Well, 25 years in IT/Tech is more than a generation: and, if you grew up like I did with the transition to multi-track recording, the possibilities of digital/computerized/ tech enabled sound mixing are hard to keep up with. I've downloaded and configured and tried to figure out various mixers and sound editors, but I haven't got the time to learn them all. It IS a profession all by itself. I bloody loved them. They were hitting their prime in the early 70s, just as I was hitting mid-teens and expanding my then musical palette from the pop charts to anything and everything I could get my ears on, usually directed by the inkies, the music influential press that governed all the hip from the non hip. 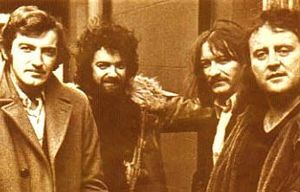 Planxty were seriously hip. With a line-up of O'Flynn, Irvine, Donal Lunny and Christy Moore, they played traditional irish jigs and reels, airs and ballads, seamlessly integrating their own material into the same. With two fine singers and an instrumental prowess encompassing guitar, bouzouki, mandolin, bodhran, hurdy-gurdy, whistles and, most importantly, uillean pipes, that irish bellows driven bagpipe, capable of a plaintive wail, swirling and bending notes, like nothing on earth, one part banshee, one part lullaby. Yes, I had heard a little of this instrument before; the aforementioned Chieftains had introduced me to it, and Horslips, the Dublin folk-rockers had deployed it a little. But nothing like O'Flynn, who could make it sing, scream, howl and lilt, sometimes simultaneously. This is his description of the instrument. And I haven't even mentioned his whistle playing, both normal whistle and low, a few blasts thereof instantly evocative of joy or sorrow, dependent on mood. It would be no hyperbole to say this band revolutionised how the world had previously seen irish music. From a twiddley diddley dee diversion, this was suddenly to be taken with the utmost seriousness, alongside and in the same breath as the Stones and Bowie. But with more fun. O'Flynn was possibly the quiet man of the group, more soberly attired and less hirsute than his compadres, but it was his solos that had the crowds in awe. A number of incarnations of this band took place over the years and the decades, as individual members peeled off and others joined in, Paul Brady and Matt Malloy to name two, the band formally breaking and re-forming twice, the last such being 20 odd years after their debut, in 2003-5. But whenever it was called Planxty, so always there was O'Flynn. After the final demise, and in the earlier breaks, O'Flynn was never short of work, with a who's who of session work that ranged from the folk circles he began within to Kate Bush, Mark Knopfler, Emmylou Harris and more. 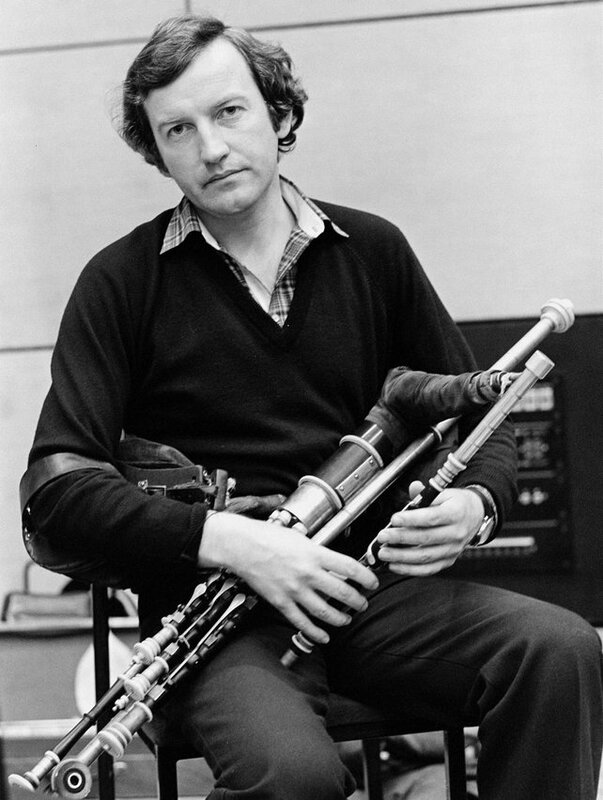 With Planxty no more there was a short period as and in LAPD, he, Irvine, Lunny and Paddy Glackin, the title being to represent Liam, Andy, Paddy and Donal. Hell, on past form they could have called it Planxty and got away with it, but they didn't. However, health was beginning to cause concern, and O'Flynn left in 2013. A private man outside music, he died in March after what was called a long illness. Here's a video of the song featured a little above, 'As I Roved Out', in a live and later setting, Planxty at Vicar Street, Dublin, in 2004, the pipes part transposed to whistle. His legacy lives on through the wave of younger players who have followed him and been inspired by him, with both pipes and whistle commonplace in the repertoire way beyond any silo of trad. arr. The elephant in the room here is Aretha Franklin, a musical titan who died last year, and who I suspect will not be discussed during this theme on the theory that her passing has gotten its due elsewhere. Franklin, of course, started out in gospel music, before expanding her audience to many styles of secular music. When Franklin, who grew up in Detroit, was a young woman on the gospel circuit, she would often stay in the Chicago home of Pops Staples, where she became friendly with his children, including Mavis and Yvonne who were a few years older. Yvonne Staples passed away in April, at the age of 80. Yvonne and younger sister Mavis were very close, and when Pops died in 2000, Mavis became depressed and stopped performing. As Mavis recalled, her big sister let her have it: “Yvonne said, ‘Mavis, your daddy would want you to keep singing. You’ve got to get up. You’re daddy’s legacy.’ … And that’s when she started with the other words: ‘Damn it, Mavis,’ and worse. It woke me up.” Yvonne toured with her sister for years, contributing harmonies and often sitting regally in a chair while Mavis played to the crowd. And apparently, Yvonne was the one who cracked the whip to make sure that the band performed at their best. According to Mavis, as Franklin’s and the Staples’ careers took off, they grew apart. But when Pops died, Franklin invited Yvonne and Mavis to visit her in the Hamptons, and Yvonne’s death led to Mavis and Aretha reconnecting for some phone calls before Franklin’s death. In 1987, Franklin released a gospel album, One Lord, One Faith, One Baptism, on which she and Staples performed a version of the hymn “Oh Happy Day,” which became a hit in 1969 in a version by the Edwin Hawkins Singers. Arranged by Hawkins, from an 18th Century hymn originally by Phillip Doddridge, the song was a surprise worldwide hit, and featured the powerhouse vocals of Dorothy Combs Morrison, who also toured with, among others, Van Morrison and Boz Scaggs. Hawkins, who died just over a year ago at 74, was backing his family’s gospel group on keyboards by the age of 7. He was co-founder of the Northern California State Youth Choir of the Church of God in Christ, which recorded “Oh Happy Day” as a fundraiser, but in early 1969, it came to the attention of Abe “Voco” Keshishian, an influential DJ at underground station KSAN in the Bay Area, who started to play the song. You can see the original album packaging here. Then, Dan Sorkin, a morning DJ at influential AM station, KSFO began pushing the song. It generated enough buzz that a bidding war to release the song broke out, with Buddah Records getting the rights. 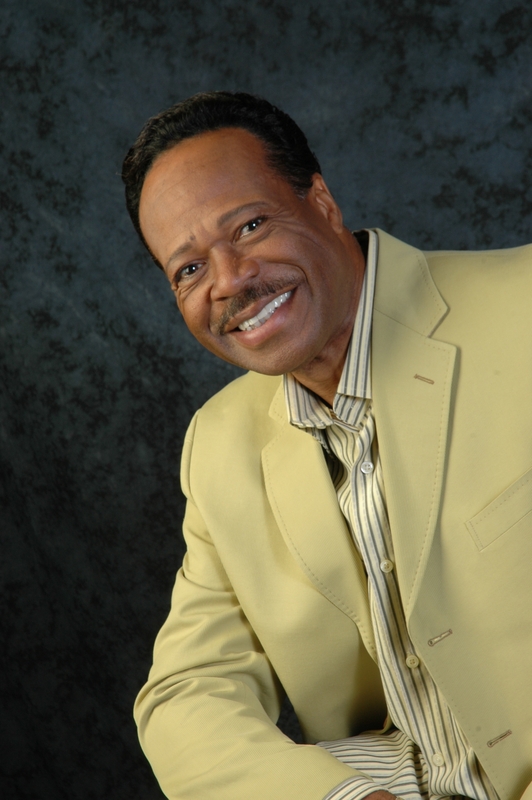 Released under the shorter, less gospel sounding name of the Edwin Hawkins Singers, the song became a crossover hit, and won a Grammy for Best Soul Gospel Performance. Apparently, the song's departures from tradition was divisive in the gospel community, but eventually became influential both by opening the door for other gospel musicians to include more pop sounds in their music and by making gospel-based music more palatable to secular music fans. Thus paving the way for both Franklin and the Staples to become successful mainstream artists. 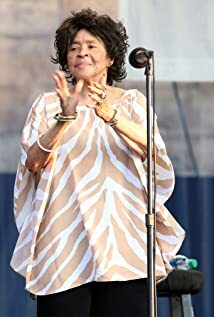 In 1970, the Singers, along with Melanie, had another hit, "Lay Down (Candles in the Rain),” but basically that was in for the pop charts, although Hawkins won a total of four Grammys in gospel categories, the most recent in 1993. 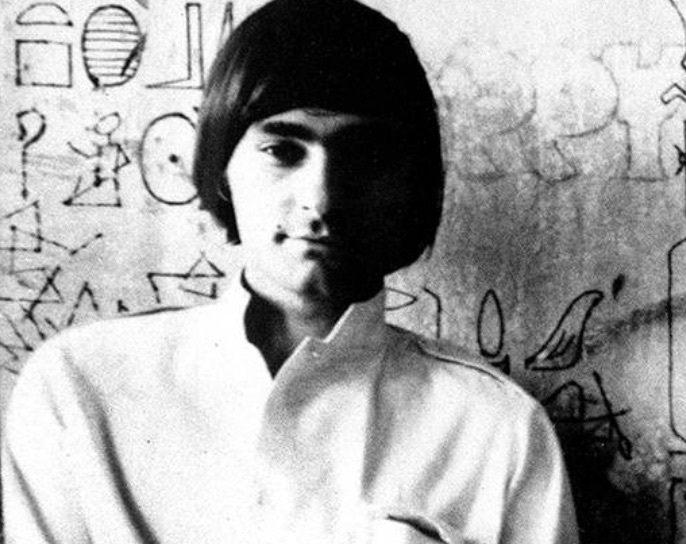 Another "cheat" post for this theme, in honor of the great Marty Balin, one of the founders of Jefferson Airplane, whose blue-eyed soul voice featured in many of the Airplane's greatest songs, as well as probably Jefferson Starship's best. And he got knocked out on stage by Hell's Angels at Altamong. Back in 2016, over at Cover Me, I wrote a long birthday piece about Balin, featuring covers of some of his Airplane, Starship, and solo songs. You can read that here. I was a big Airplane/Starship fan back in high school, as you probably can guess from that Cover Me piece, and these two, not to mention a few things on this site. Balin died in September, at the age of 76. Here's his obit from Rolling Stone. Grace Slick, with all of her substance abuse and health issues, lives on--she'll be 80 in October, by the way. I remember the first time I heard the Cranberries. The musical soundscape was pretty drab and uniform in the early 90s, you could have either grunge or britpop. So this string driven ballad made you falter, first with the sweeping orchestration, secondly with the angular and elfin nature of the vocal, unmistakably of the west of Ireland, like nothing quite else at that moment. Perhaps Sinead O'Connor would be the only, if a lazy, reference, but Dolores was more carefully broken glass than Sinead's crystal. I think I bought the album, 'Everyone Else Is Doing It, So Why Can't We', the same day. I had planned to write how, sadly, the rest of the record carried less punch, but, actually, on listening again this morning, I find I can't. Always a sometimes uncomfortable mix between the Linger-alike ballads and the more jangly group efforts, strangely it is the latter that stand up better. I seem to recall the band were derided as being somewhat pedestrian plodders, stripped of the strings and the never less than remarkable vocal calisthenics. Reflection reveals such opinion to be overly harsh, the backing being actually just right, never flashy, always solid, if a little too enthusiastic on the chorus pedal. (Hell, what do I mean "too enthusiastic"; there's no such thing! I love chorus pedal and, let's face it, it was compulsory in the Irish Republic at the time.) Of course, the public don't listen to the critics, and the band went huge. O'Riordan was 21. I've a confession to make. I have never heard any of the other Cranberries records. And there were five of them. Somehow they fell out of my field of vision. But I was aware of O'Riordan's, um, difficulties, they filtering through into the papers I was reading. Like Sinead, to whom she is so often compared against, she seems to have survived a childhood of abuse, adulthood leavening fame and fortune with an unfair share of post traumatic legacies. This is not the place for this, they are well documented. But I didn't lose all sight of her. Perhaps, as my tastes in music broadened, so the later 90s saw me becoming more immersed in what has become known as World Music, particularly in the hands of and creative mixing pot of artists like Jah Wobble. And, in another nod to Sinead O'Connor, like her so too did Dolores join up with his Invaders of the Heart to add her unmistakable muddy brogue to his rhythmical potpourri. The tragedy is not only that she died so young, at 46, with 3 youngish children, but that things seemed slowly moving back into her favour. The Cranberries were working again together and laying down new material, after the last of many breaks and hiatuses. The remaining members of the band have said they will complete the album, release it in her memory and break up, for the final time. Here's the story, from Ireland's wonderful 'Hot Press', the 'Rolling Stone' of Dublin. Let her linger in your heart.